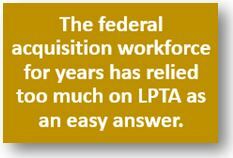 The number of times federal agencies have requested lowest-price, technically acceptable (LPTA) bids in contract solicitations has shot up over the past decade, an examination of Bloomberg Government data shows. Federal contract solicitations stating that awards will be made on the basis of LPTA source-selection procedures have steadily grown, from 920 in fiscal year 2008 to more than 12,000 in each of the past two fiscal years, according to Bloomberg Government data. 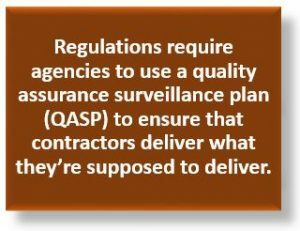 But contracting industry groups and, increasingly, members of Congress have been agitating for a best-value purchasing approach in more cases, taking into account other factors, including whether the benefits of higher-priced proposals are worth the extra cost. This renewed priority for best-value procurements has been reflected in the fiscal 2017 and 2018 defense authorization bills in Congress, which significantly narrow the range of types of procurements in which the Defense Department can use LPTA as a guiding philosophy. The Performance and Learning Management System, intended to manage employee training and performance and for which the Human Capital Office spent $24.7 million since 2013, still doesn’t meet the department’s needs, Inspector General John Roth wrote in a report released on Wednesday. Though PALMS was projected to achieve cost savings of more than $52 million over five years, delays in operations resulted in pointless expenses, such as subscription fees totaling $5.7 million for a nonexistent service.